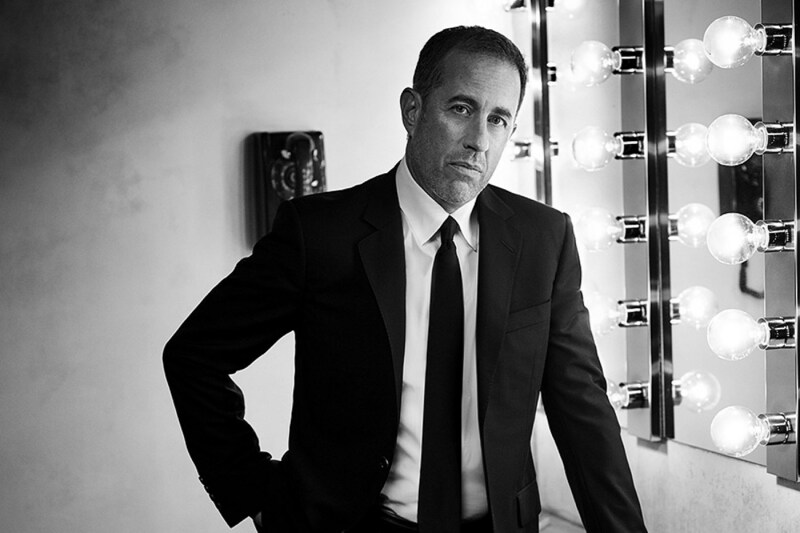 Jerry Seinfeld’s Beacon Theatre residency goes through June, but he’s just announced he’ll be back for six more shows at the NYC venue this fall, playing September 20, October 25 and October 26, with two shows nightly. At the October shows Jerry will tape a new Netflix special. Tickets for those new Beacon shows are on various presales now and go on sale to the general public on Friday (3/22) at 10 AM. Meanwhile, Jerry’s got tour dates all over the rest of the U.S. and Canada. Head here for all dates. Maggie Rogers continues to rise and has now announced a massive tour which includes two nights at Radio City Music Hall. Opening those shows (and several others) is art pop great Empress Of, and if you’re going, we recommend getting there early for her set. All dates and tickets here. Ska-punk vets Less Than Jake have added a second Rocks Off Cruise in NYC to their tour schedule, and revealed on Instagram that these will be ’90s-themed cruises and the band will only be playing songs from their ’90s records Pezcore, Losing Streak, and Hello Rockview. They set sail on April 13 & 14, and tickets for both nights are available. LTJ also play the Warped Tour 25th anniversary festivals, Camp Anarchy, and Back to the Beach (where blink-182 will be playing Enema of the State in full). All LTJ dates and tickets here. South African artist Nakhane, whose new album features ANOHNI, has added a NYC date for June 20 at Baby’s All Right. It doesn’t appear to be part of a tour (yet?) but Nakhane has a few other upcoming dates listed here. Welsh singer-songwriter Cate Le Bon is back with a new album in May and will be touring as well. Onetime Princeton singer/songwriter Matt Kivel will release new solo album, last night in america, in May and he’s got some live dates surrounding it too, playing Los Angeles on April 25 at Gold Diggers, NYC (Park Church Co-Op on May 3 w/ James Place, Lori Scacco, Daphne Tunes) and his hometown of Austin on May 17 at Cactus Cafe. Black Flag (led by Greg Ginn) have added dates to their first tour in five years, including two NY shows, Chicago, Italy, and more. The Gaslight Anthem’s Brian Fallon is doing four nights of stories and songs at intimate NJ venue Crossroads. Ad Rock and Mike D will be doing a third Brooklyn night of their “A 2 Person / 1 Man Show About 3 Kids Who Started a Band Together” stage show that’s directed by Spike Jonze. Having just conquered SXSW yet again, Oh Sees have plotted their next North American tour, happening this fall and including multi-night runs in Austin, Brooklyn, Chicago and San Francisco. Having just played Dallas, Gorilla Biscuits added more tour dates. They play the West Coast later this month and Europe in June. Defeater are celebrating their upcoming self-titled album with a run of Northeast shows featuring a pretty killer support lineup. Montreal’s Barr Brothers are on tour this month, playing Brooklyn’s Murmrr Theatre on Thursday, Philly on Friday, DC on Saturday, then two nights in Boston. They’ve also just announced a three-night stay at San Francisco’s The Independent on June 5-7 where each night they’ll play one of their records in full (The Barr Brothers on Night 1, Sleeping Operator on Night 2 and Queen of the Breakers on Night 3). Dates and tickets are here. The 2019 Lollapalooza lineup is here. AA Bondy’s first album in eight years is out in May and he’s got NYC and LA release shows around that, but he’s also just announced a full North American summer tour.